I no longer have the same amount of energy as I used to back when I was in my twenties. There are days when I wake up feeling lethargic despite a full 8 hours of sleep. When you're a mom and you have a household without a maid to upkeep, this is not acceptable. No matter how lethargic or under the weather you are feeling, plates need to be filled, dust swept and laundry washed. However, I noticed that I usually end up sick after forcing myself to finish these tasks on days when my body doesn't agree. I realized then that what I was feeling wasn't bouts of laziness but something else. When you get older, your body uses up energy repairing broken cells, cells that had no problem at all when you were younger. Hence the lethargy. Add to that stress and a lot of underlying health issues and you have yourself one "lazy bag of bones". 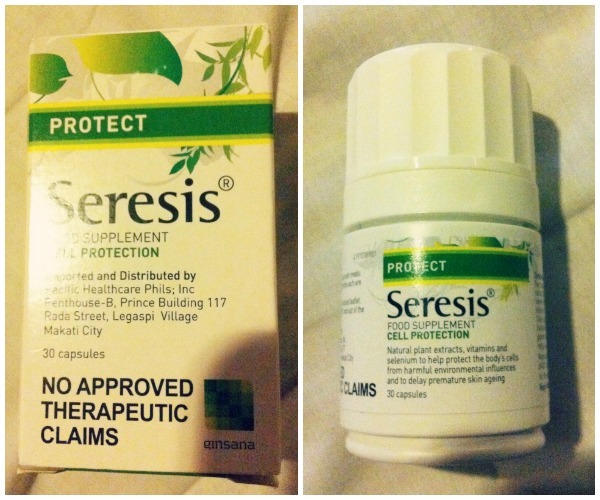 I've been taking the tandem of Ginsana and Seresis (more on this later) for about a month now. The first week I was on Ginsana, I didn't notice nay difference. I thought it was just another placebo drug but I continued taking it since it was already in my pantry and I wasn't feeling any side effects (sayang, naman if I let it go to waste). So I continued taking it religiously on a day to day basis and after a week, I started to notice changes in my behavior and surroundings. The house was cleaner, the pile of laundry smaller and our meals more imaginative. I must be doing something right. I didn't notice it was the effect of Ginsana at first since taking it doesn't really make you feel any much different. You just feel like a "normal better". There is no sudden boost in energy the way an energy drink gives you. Just a very gradual rise that sneaks up on you so you hardly notice it. You only realize that it is actually working because of the unbelievable rise in your productivity. 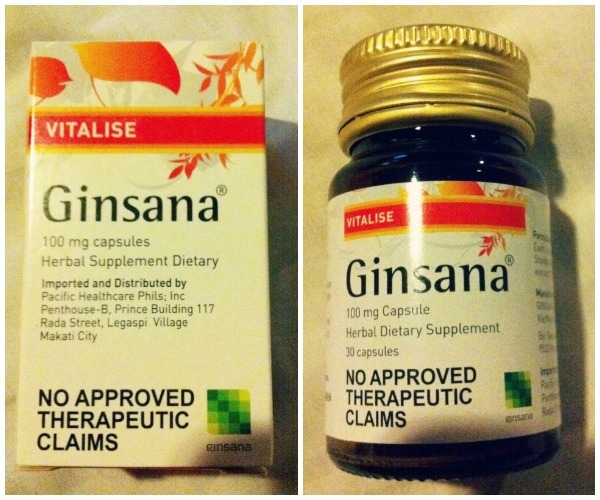 I suggest taking Ginsana when you are around 25yrs old (prevention is better) and above but make sure you consult your doctor first if you are highly allergic, pregnant or on a lot of other medications. Another issue I have about advancing in age is the appearance of dull skin. Age definitely has a way of taking away our "youthful glow". Our skin is the biggest organ of our body so it makes sense that it absorbs the most impact. Sun exposure, pollution, smoke, stress, and a poor diet cause body cells to be attacked by aggresive highly reactive molecules called free radicals. I'm sure you have heard about free radicals already before. It is the most common culprit for skin ageing. That is precisely why we must provide our skin with the vitamins it needs to combat skin ageing. Beautiful skin starts from the inside out. Expensive creams won't work if your body is suffering on the side. So a skin supplement + cream regimen is necessary to get the utmost potential out of the products you are using. 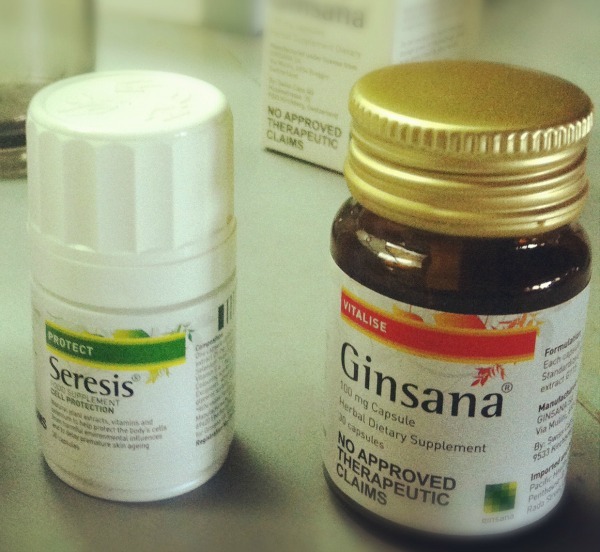 Seresis and Ginsana are available without prescription in all Mercury Drug and Watson's outlets nationwide. They are both affordable and available in both 30 and 60 capsule bottles to suit everyone's budget.